Candelo: Why live in Candelo? Candelo is a charming village that has been designated an urban conservation area The main street of Candelo is lined with turn of the century timber buildings many with verandahs, that create a tranquil village atmosphere. The village is a popular, rural lifestyle area particularly with artists and musicians. Older style houses positioned on standard quarter acre blocks are available in the Candelo village with lifestyle properties on the village outskirts. The area is largely a farming area however mid sized rural allotments are available and less occasionally, subdivided farm homesteads. The style of housing varies quite widely. The houses in the Candelo town centre are older, traditional style requiring renovation. Lifestyle blocks can be larger, modern brick and tile homes or a more alternative style, reflecting the local materials of the area. Candelo has a general store that also acts as a post office outlet. There is a petrol station, local hotel and small takeaway café. Bega and bega are the closest shopping centres to Candelo. The monthly Candelo Markets provide an opportunity for locals to purchase locally grown produce. Candelo Public Primary School provides primary aged school children with education from Kindergarten to Year 6. Secondary School aged children attend the Bega Public High School, the Sapphire Coast Anglican College at Bega or the Lumen Christi Catholic College at Pambula. Candelo is an approximate six hour drive to Sydney and Melbourne via the Princes Highway. 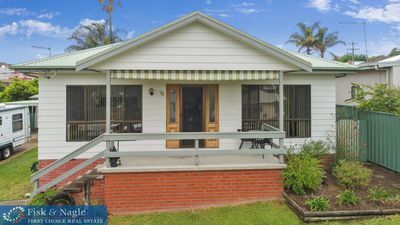 It is located 22 km southwest of Bega on the road to Wyndham and Bombala and is 24 kilometres north-east of the popular seaside township of bega. Local and interstate bus services provide daily services to Sydney, Melbourne and Canberra from nearby Bega. 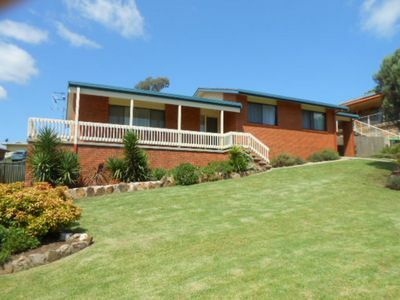 The nearest airport is located on the outskirts of Merimbula and daily flights to Melbourne and Sydney are available. Candelo has sporting grounds and a public swimming pool. The Candelo community field teams in a wide range of sports and are fearsome opponents. Sporting activities not catered for in Candelo are available in either Merimbula or Bega. Candelo has access to several National Parks and these areas are popular with bushwalkers, cyclists and trail riders. The Kameruka – Candelo Golf Course is an excellent nine hole golf course. A small café operates in the main street of Candelo and is particularly popular on Candelo Market days. The local Candelo hotel offers particularly good pub food. St Peter’s Anglican Church built in 1906 was designed by the Blacket brothers. Edmund Blacket is a noted ecclesiastical architect responsible for a number of churches in the Sydney region and for his work at the University of Sydney in particular for his work and design of the Great Hall. Rosemont is a particularly beautiful building that was used as a convent. This historic building is now a private residence but can be viewed from Eden Street. The Candelo Markets held on the village green are well known and extremely popular over the busy tourist season. Held in an almost carnival like atmosphere the Candelo Markets are an ideal place to purchase locally grown food, supplies and plants. The area around Candelo was first settled by Europeans in the 1830s originally part of the land owned by the Imlay Brothers. When the Imlay’s encountered hard times the following decade the land passed to the Walker Brothers. The land was later sold by the Walker’s to the Twofold Bay Pastoral Association a joint venture of the Manning brothers, the Tooth brothers (members of the Kent Brewery family of Sydney) and T.S. Mort, in 1852. Following the passage of the New South Wales Land Act of 1861 the village developed in the 1860s to serve as a centre for the travel through trade and for the independent farmers. The Candelo Village developed around the crossroads between Bega and Bombala. The name Candelo is said to have been derived from the calling of travellers for a candle ‘o’ to cross the river. Of particular interest in this area is the history of Kameruka, an attractive and unusual village, located on the road between Bega and Candelo. A village and historic estate, Kameruka is famous for its long association with cheese production. It was, until recently, a unique estate that remained in the same family for 150 years. The Walker Brothers established the homestead at Kameruka before selling it to the Twofold Bay Pastoral Association. Manning bought Kameruka in 1861 but after floods, disease and the introduction of the Land Act he sold Kameruka in 1862 to Frederick Tooth who, in turn, sold it to his nephew Robert Tooth in 1864. Robert developed a largely self-contained community, based on the English agricultural estate system. Kameruka contains the oldest dairy stud in Australia, established by Tooth in 1880 at Bowral which he then transplanted to Kameruka in 1888.The estate contains a church designed by Edmund Blacket. The Holy Trinity Church was established in 1869 and contains memorials to the Tooth family. The estate cemetery can be found across the paddock behind the church and a war memorial to the local people who died in the World Wars. The estate has a high clock tower and gatehouse erected in 1911 and a nine-hole golf course. Kameruka is now privately owned.